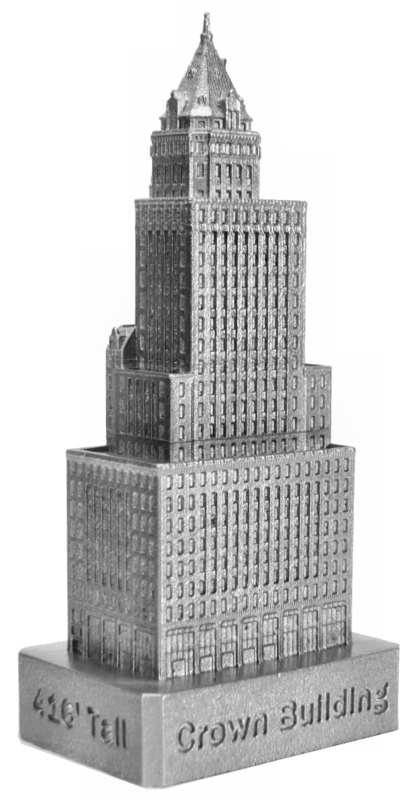 The Crown Building (formerly the Heckscher Building) is located at 730 Fifth Avenue in Manhattan, NY and was completed in 1921. The building was designed by Warren & Wetmore and stands 416 feet tall with 26 floors. This pewter replica stands 3.25 inches tall and is finished in new pewter. This model's scale is 1 inch = 150 feet.